A milestone was celebrated in Samoa yesterday at the Taumeasina Island Resort. The special celebration was the official hand over of the Global Environment Facility- Pacific Alliance for Sustainability- Invasive Aliens Species (G.E.F-P.A.S I.A.S) Project, from the Secretariat of the Pacific Regional Environment Programme (S.P.R.E.P) to the government of Samoa. 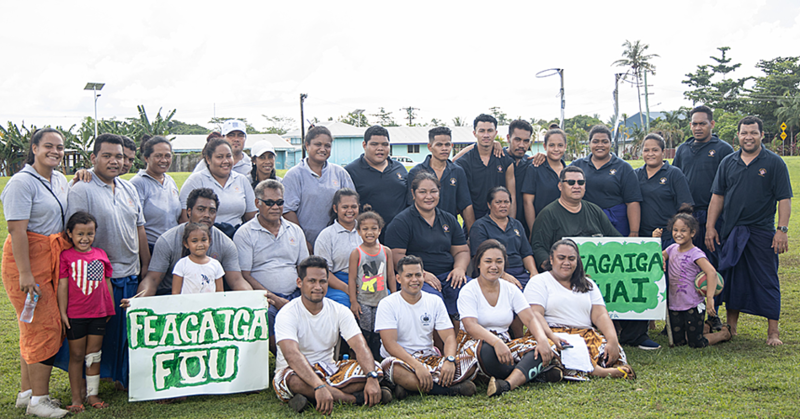 Titled “Prevention, Control and Management of Invasive Alien Species in Samoa,” the project which took five years to do is now completed. 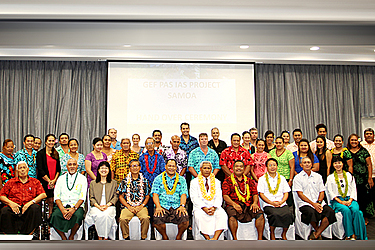 The completion of this project is a result of the hard work by S.P.R.E.P and nine member countries including Samoa, and was funded by the United Nation Environmental Programme (U.N.E,P). The main objective of the project is to find ways to conserve our ecosystems, species and genetic diversity in the Pacific region. A project designed to reduce the environmental, economic, and human health impacts of invasive alien species in both terrestrial and marine habitats in the Pacific region. The handover ceremony started with a small service conducted by Reverend Semikueva Fa’atoafe of the Congregational Christian Church of Samoa at Moata’a. Director General of S.P.R.E.P, Leota Kosi Latu, addressed the gathering and congratulated Samoa on completing the project on time. He also spoke about the relevance of this project. “Nine countries now have excellent foundations for which to build comprehensive invasive species management programmes, with some such as Samoa already undertaking significant activities and projects,” he said. 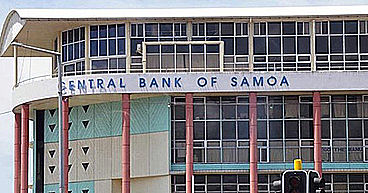 “I congratulate Samoa, particularly M.N.R.E, on completing the project on time, to budget and with successful outcomes which will be of great benefit to Samoa and its people. The S.P.R.E.P Invasive Species Programme and M.N.R.E has formed a significant and mutually benefitting partnership, one which I am sure will continue into the future. He went to say that because our country is vulnerable to natural hazards that can destroy our environment, having such projects like this is a great way manage and control invasive species in Samoa. “Investing in invasive species management is an investment in future, proofing our way of life,” said Leota. The Associate Minister of the Ministry of Natural Resources and Environment, Taefu Lemi Taefu, climate change and ways to protect the environment are top global topics today. “The overwhelming support for the Paris Agreement last year is a testament to the bond we have built amongst nations; that even the bigger culprits have joined us in support of the Environment,” he said. He went on to say that one major threat to the environment are invasive species. 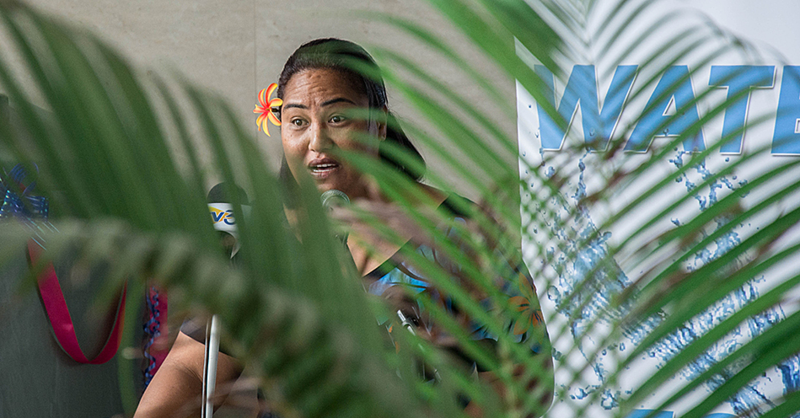 “Alien and invasive species are a major threat to our marine, freshwater and terrestrial biodiversity in Samoa and so in other Pacific Island Countries. The reality is that, Alien and Invasive species are here to stay and many more will join them as they try to conquer our environment. The challenge for us is to work together to prevent that from happening. “Today, the survey and compilation of this project is completed, and the implementation starts. Like we used to say; when one door closes, another door opens. Lastly, Taefu thanked the collaboration of the U.N.E.P and S.P.R.E.P. on the completion of the project. He also acknowledged the technical assistance of the Samoa National Invasive Technical Team, Aleipata Marine Protected Area Committee, Mt. Vaea Reserve and O le Pupu Pu’e National Park Communities.